March 22, 2019 – Last month, REALice went on the road to visit some of our customers in New Hampshire and Massachusetts. 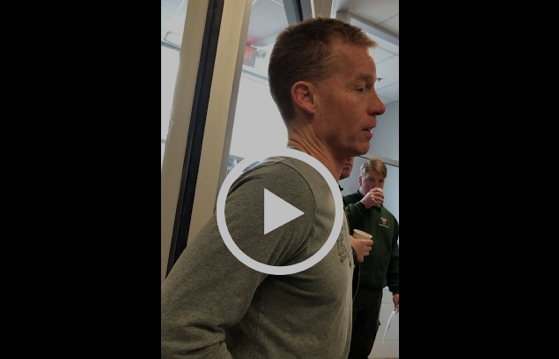 In Bedford, MA at the Edge Sports Center, GM Scott Fusco had an opportunity to talk about their REALice experience, and we videoed what he had to say. We think you’ll find it interesting — and the message is clear: they’re reducing their energy spend AND making great ice. The Edge Sports Center is a busy two-pad with two Zamboni rooms. The REALice wall unit was installed for the “Upper Rink” back at the beginning of December, 2018 and Fusco’s comments are related to the savings they’ve seen since the installation. Edge Sports Center took advantage of energy-efficiency incentives available through its two energy suppliers — Eversource and NationalGrid – which made a terrific impact on the expected ROI. If you would like to get REALice in your arena, give Jack Norton a call at 978-758-0255 or Lenny Lilyholm at 612-940-4961 — or send an email to support@realice.us.